In the past, politics and governance have been a preserve of the old men and women whom since the advent of democracy in 1999, has continued to dominate the scene. However, Nigerian youths in the All Progressives Congress (APC) have reversing this trend with its active participation in the affairs of the party and by extension governance in Nigeria. 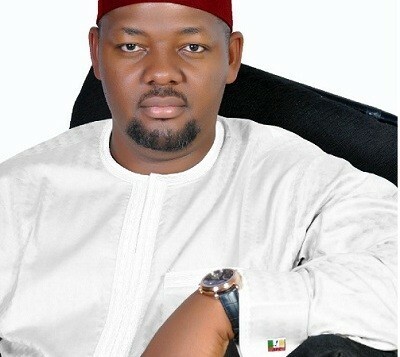 One of such Youth is Barrister Ismaeel Ahmed, a young and vibrant politicians who chairs the All Progressives Youths Forum (APYF), a forum of young intellects who have come together from all fields and the various legacy party that merged to form the APC, so as to pursue the interest of the youths in the party and in Nigeria. He spoke with Abubakar Usman, on his sojourn in politics and the plans ahead. I was born and raised some 35 years ago in the ancient commercial city of Kano. I attended schools in Kano, Lagos, Jos, Abuja and the US. I am a lawyer by profession, politician by ambition. I have been involved in partisan politics since 2002 and have grown both in experience and depth as a result of my active participation. I currently chair the APC Youth Forum, which is the pioneer Youth Organization in APC that was largely responsible for the swath of support the party got from the youth during the merger period. Why politics? Because with your pedigree and education you could easily be a success in entrepreneurship and or even get a plum government job somewhere in Abuja without too much trouble. Well why not politics? Nigeria has not really very been very lucky with the best of leadership or governance in the past. And in a constitutional democracy politics is the surest way of determining leadership of the polity. We have to get involved with our exuberance and fresh ideas to make our contribution to this country and also serve as an inspiration to other youth in the country to step into the field and offer the best they have. After all, they are already excelling in various fields like journalism, entrepreneurship, entertainment, academia small scale farming, social advocacy and many others, why not politics then? If we are excelling in these fronts in spite of a virtually non-existent infrastructure in terms of our decrepit transport system and epileptic electricity supply, astronomical interest rates, then we must seek to change that with our hands or at worst influence the choice of leaders who will bring genuine change and not paying lip service to transformation of the largest economy in Africa. What is your current role in the All Progressives Congress – APC? I am a bonafide card carrying member of the party and member of various sub committees established to booster the chances of the party come 2015. I am also the Chairman of the All Progressives Youth Forum (APYF). A forum of young people across the country who decided to come together and chart a common and beneficial course for the country through the progressives movement. While we are all members of APC and have streamlined our framework in accordance with that of the party, and the party leaders have endorsed and encouraged us, we are not funded by the party neither are we officially ratified by it. The party has welcomed a lot of youth groups but has never made anyone it’s official wing. That may come after we have substantive leadership. But recently, the media was awash with news that APC Youths have decamped to PDP citing issues of non-inclusion of youth in party activities. APC Youths? I am a youth and I am glued to the APC for life. That bit of news was simply preposterous and funny. The claimants are just an unknown group that claim one thing or another with APC and after sometime declare that they are decamping with some few bucks in their pockets given to them by the opposition and amplified by the media to no effect. I am not sure the party can even remember who they are, because I can’t. On the issue of non inclusion, many young people have been involved in many activities of the party and will continue to do so. Are we where we ought to be? No. But it is a work in progress and the party is listening. I, for example, am a member of several committees in the party, Rinsola Abiola, another vibrant youth is also very much engaged. She is running a section of the women’s chapter under the office of the National Woman Leader. I mean there a tons of us out there participating in this vigorously. So that claim is ludicrous, selfish and untrue. APC claims to be a party of change however, we hear of issues with the State, Local Government and Ward Congresses. What do you have to say about that? Well, we are human and are not perfect. With over 25 million registered members such is likely to happen. Managing people’s ambition, ego and so many other things at any one time and with such a wildly popular party is quite Herculean. APC is making spirited efforts to resolve these issues before the party convention. Besides in how many states has these crises occurred? Speaking of party convention, do you have any ambition? We have formedan exploratory committee to look into what meaningful role we can play in the affairs of the party, in Nigerian politics and ultimately our future. Youths in APC are no longer on-lookers. We are part and parcel of decision making in the party. Going back just a little bit to talk about defections, why are party founders and leaders leaving for other parties? Politics everywhere is an evolving process. While we have lost some, we have also gained other leaders. We believe in the short run we will attain a level of equilibrium where party defections or membership will be determined by ideologies and not personal interest. Recall that our party APC recently launched its roadmap and code of ethics to serve as a guide. This is just the beginning so we must not dwell on the negligible negatives in the midst of abundant positives. Talking of contemporary issues, the BringBackOurGirls campaign has been on the front burner for about a month. The APC has not been as characteristically vocal as it is known to be neither have they been in the forefront of campaigns to bring our daughters back. To say we are doing nothing would be most uncharitable. The APC has been calling on the Government to pay attention to this dastardly act way before the issue became a trending topic on the social media and pulled in international attentions. However, we believe this is a national tragedy that calls for a bipartisan approach to solve one of the most daunting challenges ever. This is not really the time to play politics with the kidnap issue. We believe in the sanctity of human lives, the innocence of those girls and the importance of their journey to get education in the face of such risks. While some party members have been involved in the campaigns in their personal capacities, the party in itself as an institution can only offer support and solutions. Our Involvement must not be misconstrued as trying to score cheap political points. The protesters are already doing what every right thinking Nigerian citizen should be doing; demanding that their government should govern them. And the APC supports that. Where do you see APC in the nearest future? In control of the Federal Government, most of the states and the National Assembly…(laughs). That’s where I see it. And I see Nigeria getting into that position of political adults in the world. Where an incumbent can loose election and walk away without a fuss, and the country will carry on. What advice do you have for young Nigerians with interest in politics? Join a political party, any political party, preferably APC to help us build a party in order to rebuild this country. If not, be an active citizen and be concerned and lend your voice to the development of this country.